Best Buy and Future shop recently launched new Eurocom High Performance Laptops and Notebooks in their online stores. The EUROCOM M5 Pro, Electra 2, Electra 3 and M4 were recently added to BestBuy and FutureShop online stores for customers to order. “For BestBuy and FutureShop online stores we have added several configuration levels of each model to allow our customers to choose which configuration is best for their needs.” Mark Bialic, Eurocom President. Eurocom is an ideal partner for Best Buy customers as the configuration facility is located within Canada, ensuring fast and efficient delivery anywhere in Canada. A high quality Eurocom manufacturing and product testing process helps to ensure each system is performing at its best. The EUROCOM M5 Pro laptop is perfect for gamers and enthusiasts constantly on the move. Featuring an Intel Core i7-4710HQ processor and 8GB RAM, this slim and ultraportable laptop delivers remarkable speed for gaming. A NVIDIA GeForce GTX 970M graphics card with 3GB dedicated video memory ensures that fast-action games load and run quickly, without lags. Take your work and play wherever you go with the EUROCOM Electra 2 laptop. This portable 15.6” powerhouse features a snappy 2.6GHz Intel Core i5 processor, spacious 500GB hard drive, tons of connectivity options, and a long battery life for your on-the-go lifestyle. Work and play anywhere with the 17.3" EUROCOM Electra 3. Equipped with a 2.6GHz Intel Core processor, NVIDIA GeForce graphics, and 8GB of RAM, this laptop is designed to run even your most demanding games and apps. It comes preloaded with Windows 7, boasts a beautiful 17.3" display, and features a thin design for easy mobility. The EUROCOM M4 notebook provides the dynamic visuals for gaming, with a breathtaking 3200x1800 QHD+ display and dedicated graphics memory for powering crystal clear, vibrant images that won't lag, so you can respond accurately and effectively. Thin and lightweight, the 2kg, 1.2" thin laptop is ideal for on-the-go gaming. 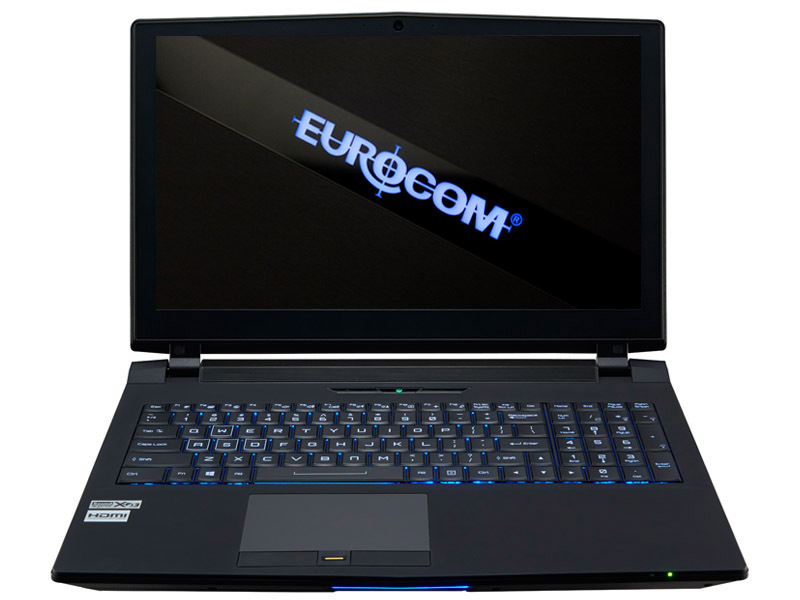 Ordering Eurocom laptops on BestBuy or FutureShop has never been easier. Customers simply find the product they are interested in, add to their cart, add their postal code for tax purposes, add the shipping and payment information and wait for the system to be delivered to their door or to their local Best Buy or Future Shop store for easy pickup.